The Wayside Church is the last remaining building representing the early African American community known as Trezevant Hill. The church was the site of the pioneering and historic African American radio and television ministry of Bishop R.E. Ranger from the 1930s through the 1950s. Bishop Ranger was a nationally known gospel preacher for 75 years. Wayside Church is the site of the first national and international Black Gospel Radio Ministry in America–at one time reaching an audience of six million. It is also the oldest church of its denomination in Fort Worth. The church is threatened by inappropriate development and lack of maintenance. 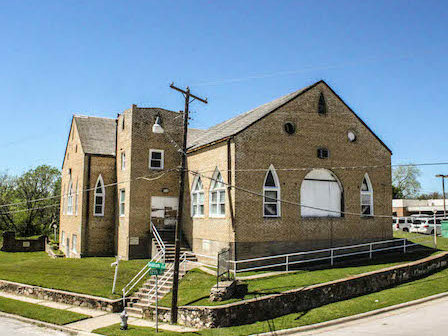 UPDATE: Historic Fort Worth re-listed the Wayside Church to their Endangered Places list in 2016. They originally listed it in 2005.